Fancy a Fiji sailing adventure? 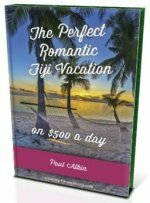 Find out your options here as Fiji has perfect islands to go along with beautiful weather and exquisite diving. This section is for people who are after sailing adventures or who wish to charter a yacht. Usually it compliments your Fiji vacation or holiday. It doesn't have information regarding the sailing of a yacht that you own. Firstly, you can expect stunning weather with perfect beaches on secluded islands. You resort is probably there as well! It could vary especially from day to overnight trips. In any case, our Top 10 Fiji Cruise Tips should do the trick. Transfers are included to/from your resort in the Nadi area. Even if you are staying on the Coral Coast. Most of your sailing options, be it organised or chartered, is around the Mamanucas. The Nadi area and the Mamanucas are two of Fiji's most resort-rich areas, and they are right next to each other. 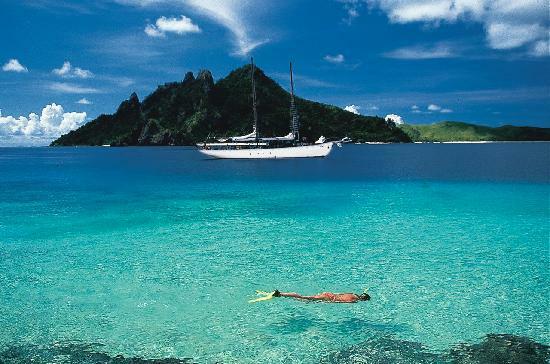 So it's convenient that the Mamanuca islands have postcard perfect islands for sailing adventures to thrive. Most sailing adventures and chartered vessels operate out of Denarau Marina on Denarau Island near Nadi. The other option is from Musket Cove Marina of Malolo lailai (Plantation Island). There are day sailing adventures from Musket Cove Marina for those staying at one of the four resorts on Malolo Lailai in the Mamanucas. 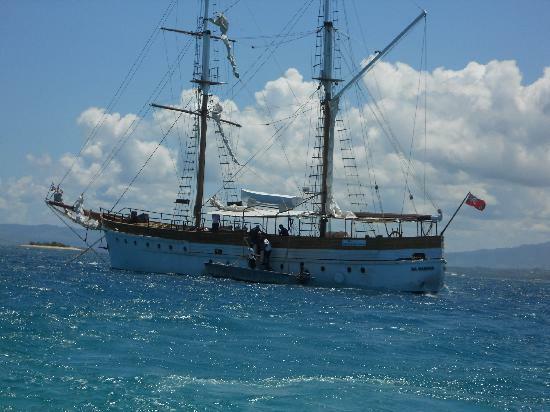 Sea Hawk Yacht Charters - is your sole charter option in Vanua Levu. The 16m beauty can accommodate up to 6 and comes with a captain, cook, and crew.